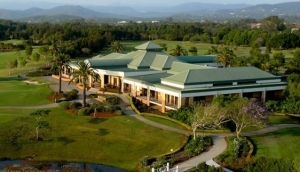 There are many golf courses on the Gold Coast catering for a wide range of skills and entertainment. They start from Par3, 9 hole courses to 18 hole public courses to resort and internationally recognised golf courses. Most offer a range of services from club and buggy hire, putting greens, driving ranges and even lessons from the local professional. Clubhouses offer refreshments and food, to first class restaurants. Some hotels and resorts cater for golf holidays and there are a number of golfing touring companies to look after your golfing needs.